At the moment my desk looks something like this. Having let the first draft of my second novel sit and mature over a long and glorious summer, it is time to get down to the serious business of editing. I’m trying to be quite methodical about it so far. My first step was to read the manuscript in its printed form – an altogether different experience from reading it on the screen – annotating it with things that struck me: questions, problems, things I might need to change. I’ve quite enjoyed getting back into the story, but to be honest I’m finding it pretty tricky to keep an objective eye on it. Fortunately I’m not doing this alone: I’ve had several people read the first draft and give me feedback, including my agent who handily vocalised some of the things that were niggling me about the characters in particular. That’s where the post-it notes come in. There are a few amendments to specific scenes I’m working on, but mostly they’re threads that run through the whole book, things that need to be tweaked to achieve the effect I’m aiming for and keep the reader on side. So as I read through the draft again, a different coloured pen in hand this time, my eyes are flicking to those orange stars as my mind shifts and changes and adds the details that I think will make a difference. I’m about a third of the way through this second critical reading now, and am quietly satisfied by the things that are starting to fall into place. I’m hoping that by the middle of next week I should be able to get back into Scrivener and start the actual rewrite – and that as I switch from paper to screen again more ideas will seep in to give my story the depth and authenticity it needs. It’s an exciting process, and definitely a challenging one. I think the biggest challenge is not being able to completely immerse myself in it – having to keep a toddler entertained and trying to keep this blog going too. So the edit is happening in very distinct chunks, and invariably I have to tear myself away just as things are getting interesting. But I’m working on it every day, and hopefully my brain will keep ticking over during the enforced breaks, searching out new inspiration and solving the problems that remain outside my grasp whilst I’m staring at the page. I’m not very good at being patient – once I set my mind to something I generally just like to get it done. But in this case I think the slower pace might just work to my advantage… We shall see. 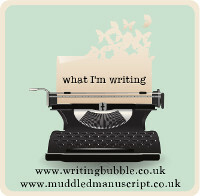 This entry was posted in Sophie is writing, Uncategorized and tagged juggling, manuscript, post-it notes, redrafting, work at home mum, writing on September 9, 2014 by sophieblovett. Your process is SO much more organised than my own. I’d quite like to have a bound copy of any draft of my work in front of me, I’ll feel all proper and grown up then ;). I completely agree about reading on paper being different than on screen – I was amazed how different it felt myself and how much more I wanted to change! Good luck with the edit, I can’t imagine ever being at that point! I have so little time to actually work on the writing that if I wasn’t organised I don’t think I’d get anything done! I find the bound copy really useful – there are companies online who do it from a PDF and as you say it does help it all feel a bit more real! Sounds like you’re at such an exciting stage! 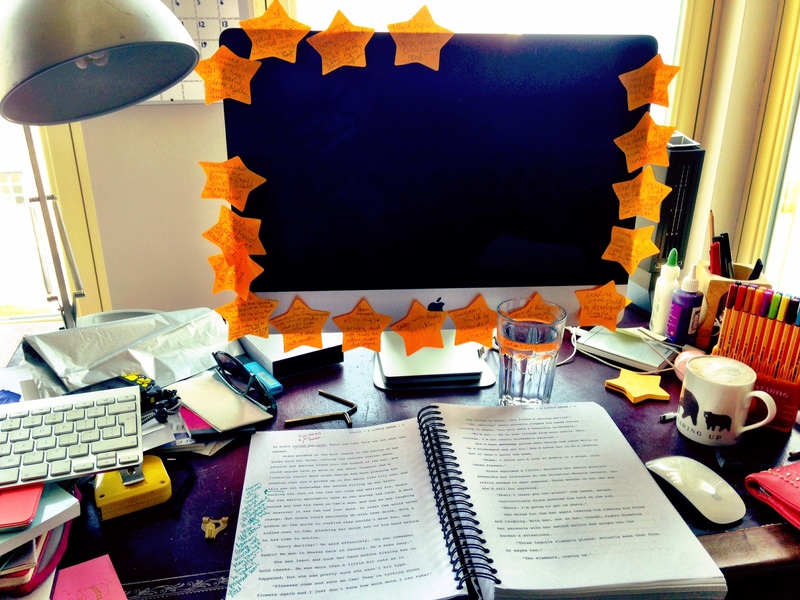 I’ve never got as far as editing a novel (only shorter pieces which is, i imagine, quite different) but having read this post I’m now looking forward to getting there! I can relate to the challenge of finding time to write with a todder on hand, and the frustration of having to break off when you’re on a roll. Hopefully success – when it comes – will be that much sweeter for it though eh? Sounds like you’re really focused and determined Sophie, I have no doubt that you’ll get through the edit within your deadline. I definitely think threes something in the slower pace idea. Before I had children I tended to treat everything as a race and it wasn’t entirely successful. I’ve learnt patience and I think it pays off. Sounds very exciting to be at this stage and I’ll follow with interest. These children of ours have so much to teach us don’t they? Definitely better not to fight it and just go with the flow – and as you say hopefully it’ll pay off!